A splashback is the perfect way to create a stylish yet functional feature in your kitchen. Our red glass splashbacks are a striking option for any kitchen, with a sleek, high-gloss finish suitable for creating a contemporary look. Durable, scratch and heat resistant (to 700°C) glass will leave you safe in the knowledge that this splashback was built to last. Suitable for use behind your hob, our splashbacks can also be fitted between wall and base units for a seamless look throughout your kitchen. 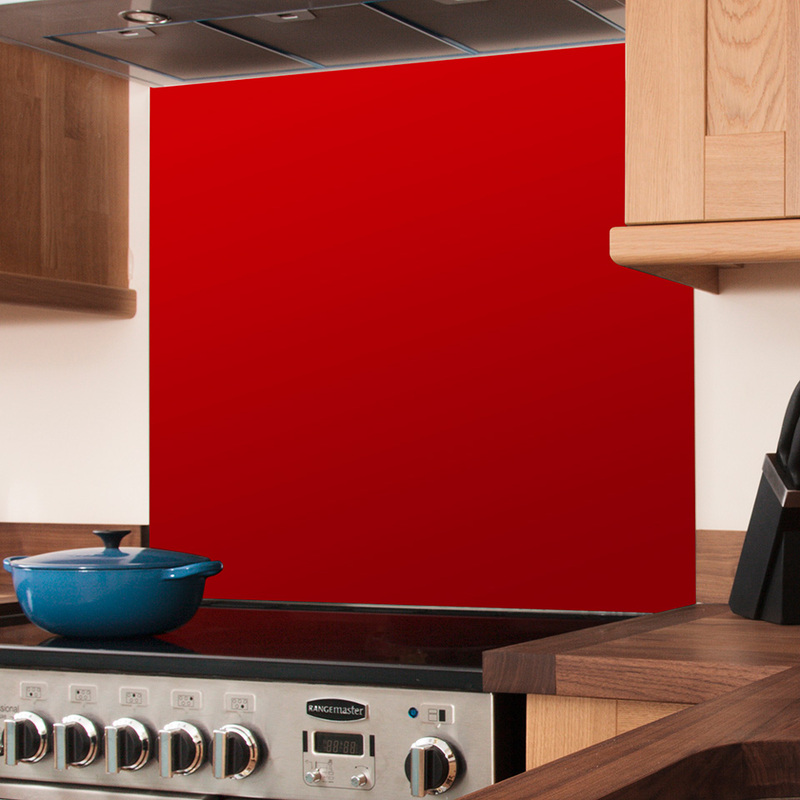 These red splashbacks are made from toughened Optiwhite™ glass which prevents the appearance of any green sheen, ensuring a true colour for really making an impact. A luxurious option for any home, our red glass splashbacks are manufactured in the UK, so you can rest assured that they are only the highest quality. Available in a variety of different sizes, we keep our red splashbacks in stock so we can deliver to you as quickly as possible. As soon as you know what you need, you can add the items to your shopping cart below before placing your order.